I don’t usually like traveling for New Year’s, I love the holiday atmosphere and all but it is too cold in Europe to wander around all day and take pictures and there are too many tourists (I know, I know I am one too). But company was great and tickets were super cheap so we headed to Milan. 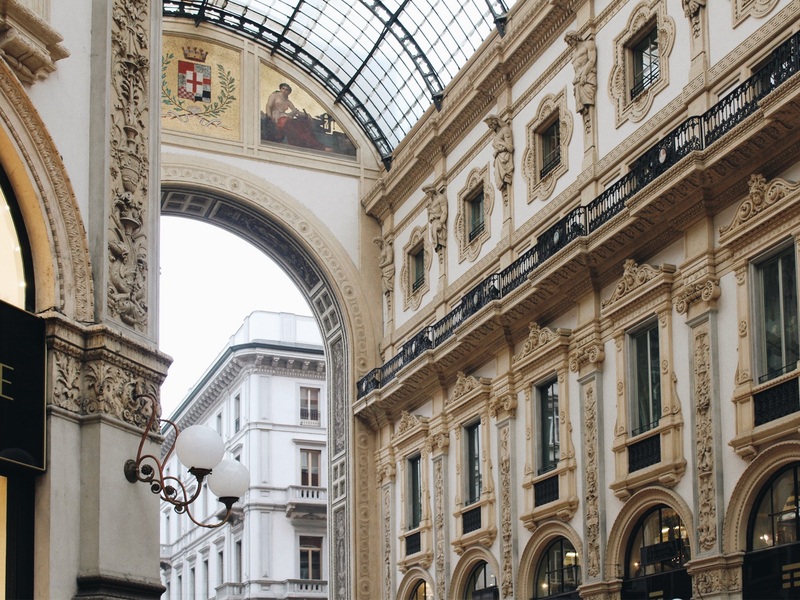 This was my first time in Italy, and I know that everyone says that Rome or Florence are much prettier, but let me tell you, I fell in love with Milan. Maybe the fact I dreamed of studying there while I was in college, or that its energy kinda reminded me of my hometown, not sure, but I can easily see myself coming to visit it again in the spring. 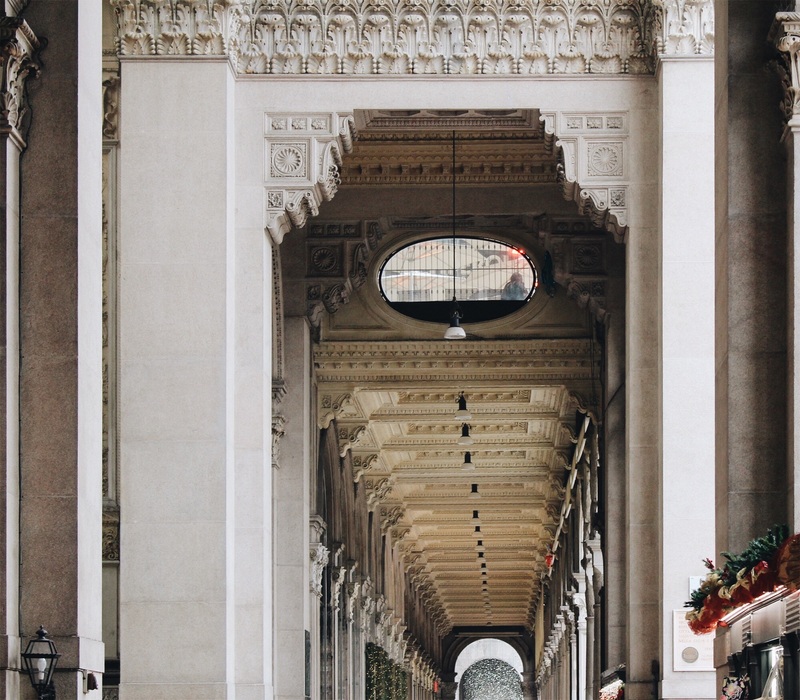 If you follow me on Instagram, you might have noticed I’m slightly obsessed with pretty facades and architecture, and just look how cute Milan is, even on a gloomy winter day. Ok, so we didn’t wanted to do too much touristy stuff, and we were more wandering around and enjoying the city, so I will tell you what I liked the most. 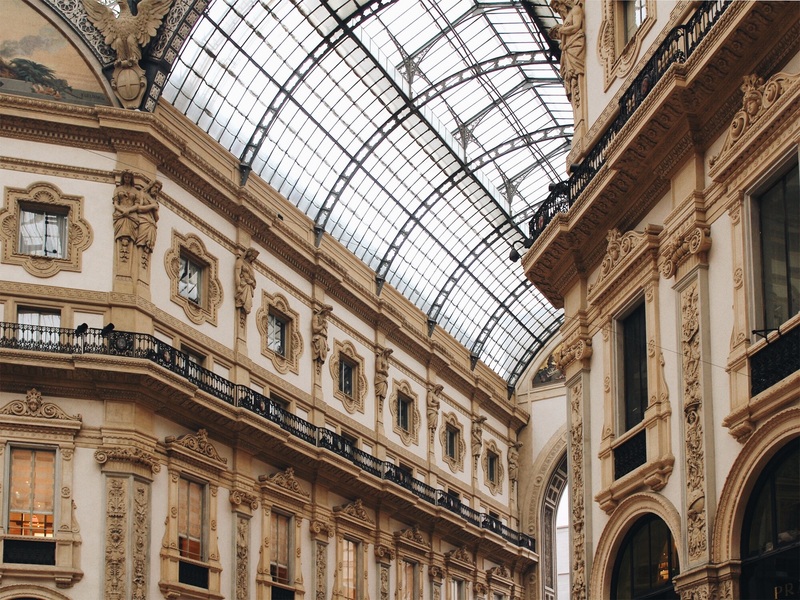 Duomo and Galleria Vittorio Emanuele II are beautiful to see, always crowded tho, but worth the hassle. Take a walk from Castello Sforzesco trough beautiful Parco Sempione (I really wanted to visit Palazzo dell’Arte, however, it wasn’t working) and Arco della Pace, where you can find many lovely restaurants to sit and enjoy aperitivo, like Duomo dal 1952 (I don’t usually take photos of food, so you’re gonna need to trust me on this, it was good). And last but not least, Navigli. Ok, maybe the canals are better to visit in spring, but hey, everything is better in spring. It was still nice place to walk and drink coffee, and I accidentally matched my outfit to scenery, as you can see. 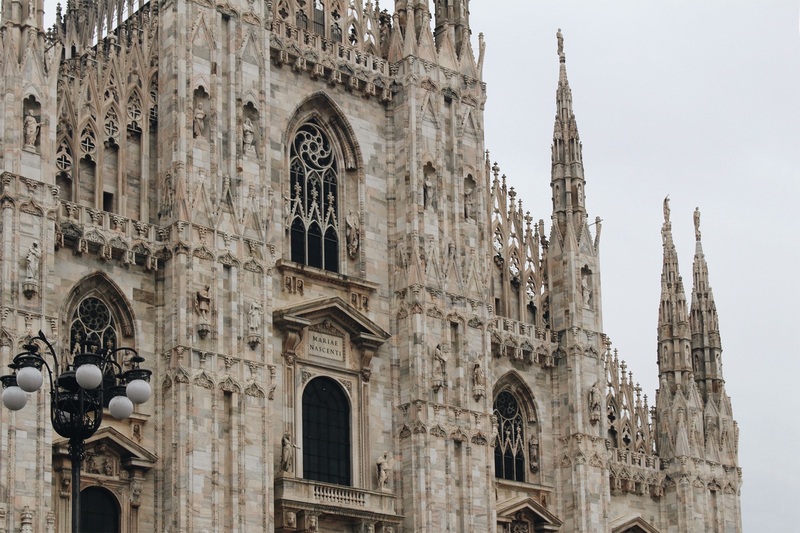 So this is the end of my first, I can’t say guide to Milan, but maybe why I loved Milan post. 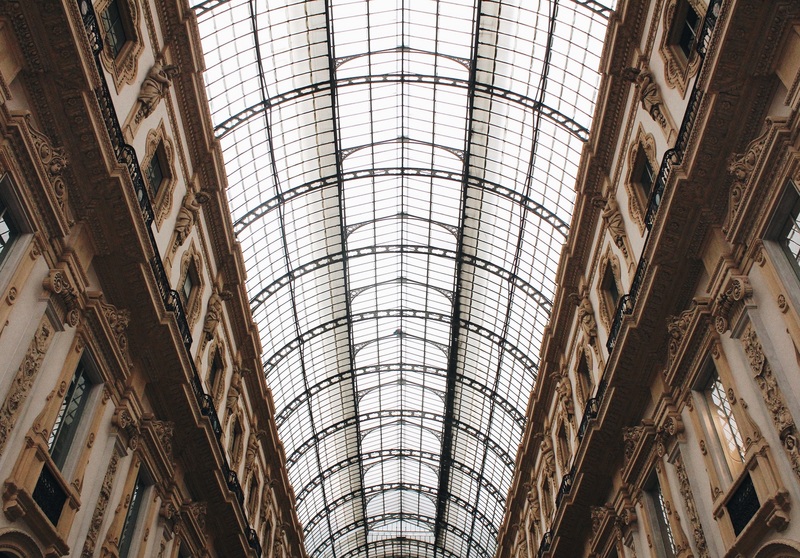 Have you been to Milan and how did you like it? Or what city you visited & loved it instantly?